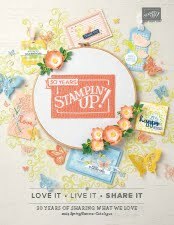 We are continuing to hop together once a month, sharing with you ideas and designs using current Stampin' Up! products. 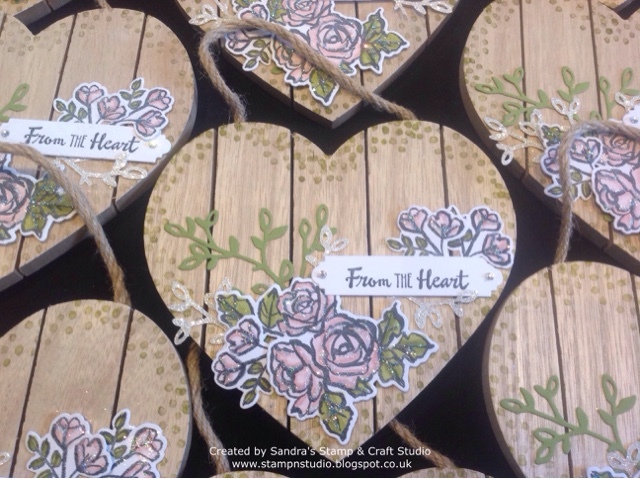 I live in a small village just outside Attleborough in Norfolk, UK and would love to help you if you have any questions, or enquiries about Craft Retreats in Norfolk, here at my Stamp & Craft Studio. 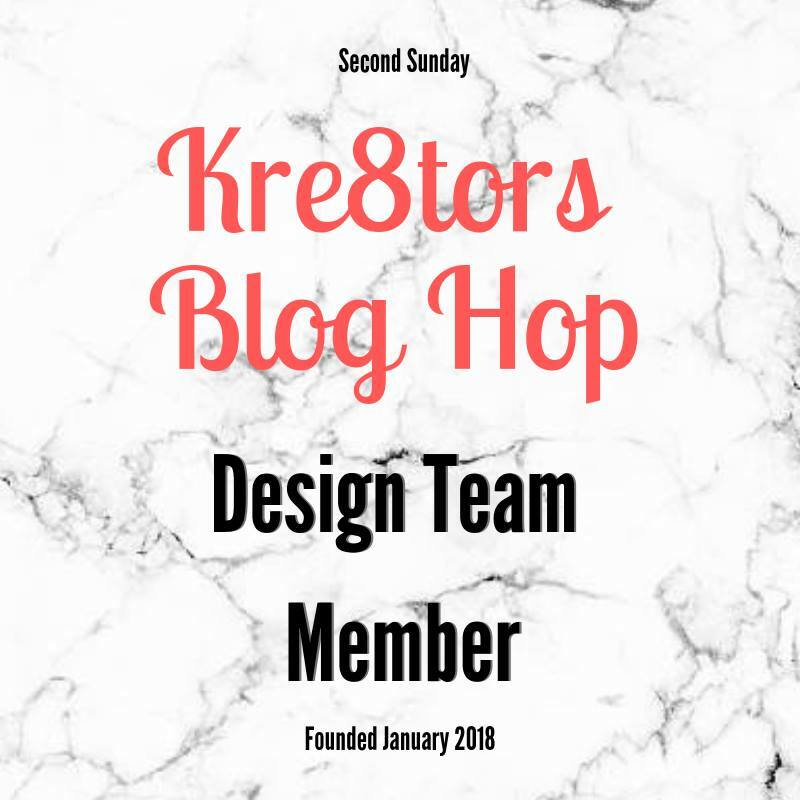 Today I'm sharing with your a project made as part of my team gifts this year. This beautiful NEW Stamp & Die bundle Petal Palette #145785 (wood mount) #145788 (clear mount) is coming very soon on page 22/23 of the Spring / Summer 2018 catalogue. Images were stamped in Tuxedo Black Memento ink #132708 (AC 2017-18, p200), die-cut with corresponding Petals & More Thinlits Dies #145655 and coloured with our NEW Stampin' Blends (SS 2018, p30/31). 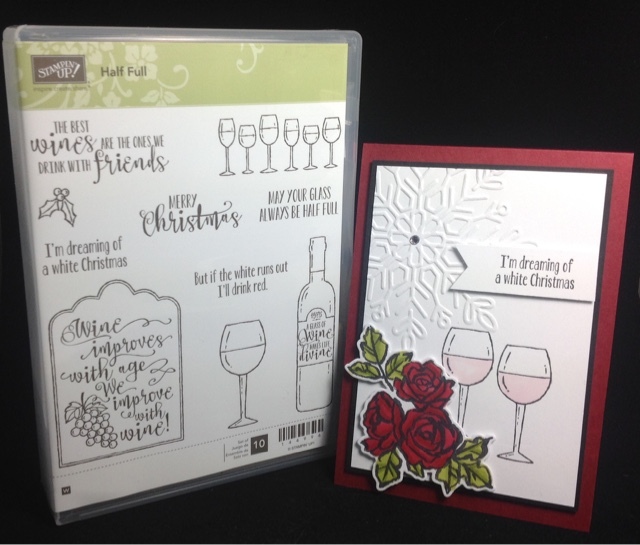 Some elements have been raised using Mini Stampin' Dimensionals #144108 and additional die-cut elements using Old Olive cardstock #106576 and Dazzling Diamonds Glimmer Paper #135315. Once complete, Fine-Tip Glue Pen #138309 was added and sprinkled with Dazzling Diamonds Stampin' Glitter #133751. 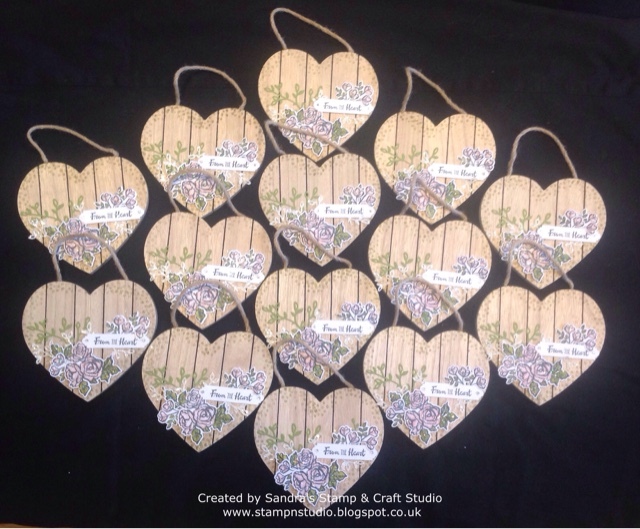 Here are the first 14 complete but an additional 10 were then made for special friends and helpers. 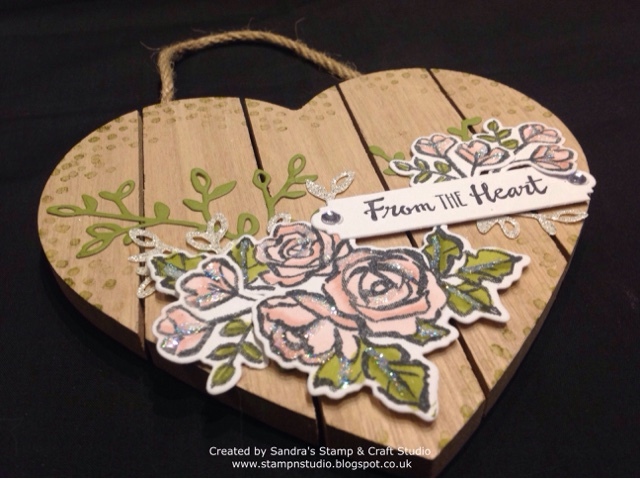 Thank you for joining us today - we are all so happy that you are taking part in our blog hop. Please grab a cuppa and continue 'hopping' round the globe, making sure that you don't miss anyone out, as you will see lots of incredible inspiration along your tour. If you have time to add some comments too, they are always very welcome and much appreciated. You are currently visiting my blog - Sandra Roberts. 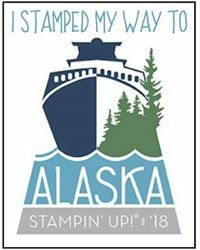 Please check the list below and enjoy continuing your trip around the Globe, visiting all the wonderful Stampin' Up! creations. Welcome back for another card created recently, using the Half Full stamp set from Stampin' Up! David is one of those unfortunate people who celebrates his birthday on Christmas Day. Knowing how he loves his glass or two or vino, I couldn't help but use this set all over again. I'm hoping you are loving this set as much as me. Don't worry if you haven't bought yet. This set will not be retiring at the end of December....... it is one of the lucky ones, rolling over into the Spring Summer 2018 catalogue. If you haven't bought it already, make sure it's added to your first order in January to go towards earning a FREE Sale-A-Bration set during the 3-month promotion. Hope you have a wonderful Christmas Day, celebrating with family and friends. Pop back soon, there's lots going on !! For once I'm ahead of the game ........ everything's well underway, our dining table was fully laid this morning, complete with all the covered dishes for vegetables and accompaniments etc. All the cooking timings have been worked backwards from serving time, so we both know what's being done when. David's Auntie was collected from Manchester on Wednesday for her two-week holiday with us, plus we have invited another elderly couple of friends to join us for the big day itself. 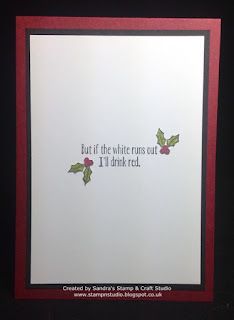 Today I'm sharing the Christmas card I made for David ..... sadly, celebrating his birthday too on Christmas Day, life is always busy this time of year so his is usually one of the last to be made. 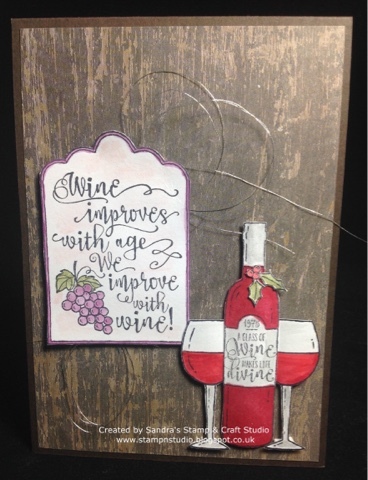 I fell in love with this card created and shared by Cheryl Lentz, WI, USA, on a Stampin' Up! Demo forum, commented on her post and CASED it (Copy And Share Everything). Cheryl used the Half Full stamp set #144996 (wood mount) #144999 (clear mount) which was inspired by Million Sales Achiever Linda Bauwin. A wonderful set that I'm sure will get used again shortly ! 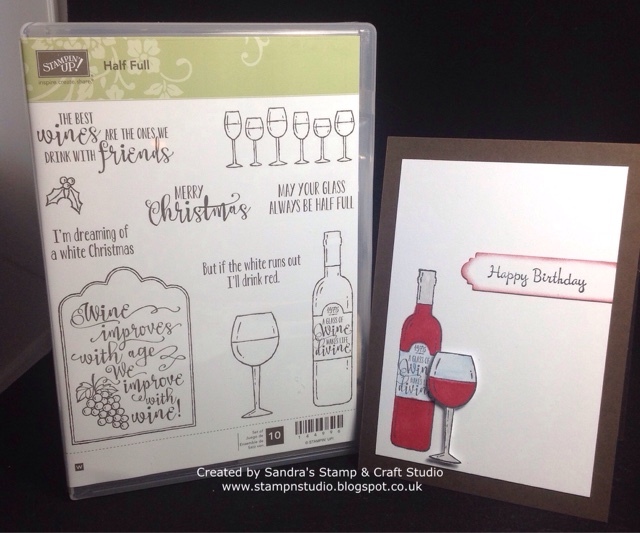 'Half Full' stamp set by Stampin' Up! I wanted to purchase when I first saw in the catalogue but was concerned that I wouldn't have time to use before it 'retired' with the Autumn/Winter catalogue at the end of December. I'm pleased to say this set is now rolling over into the Spring / Summer 2018 catalogue and so quickly made it into my shopping cart. Hope you love this set as much as I do. Pop back tomorrow to see a completely different look with this set for David's Birthday card. Yesterday, I attended a local Christmas Fair in Attleborough for the first time Having had two requests on the same day, it's safe to say I will be booking the other event next year !! 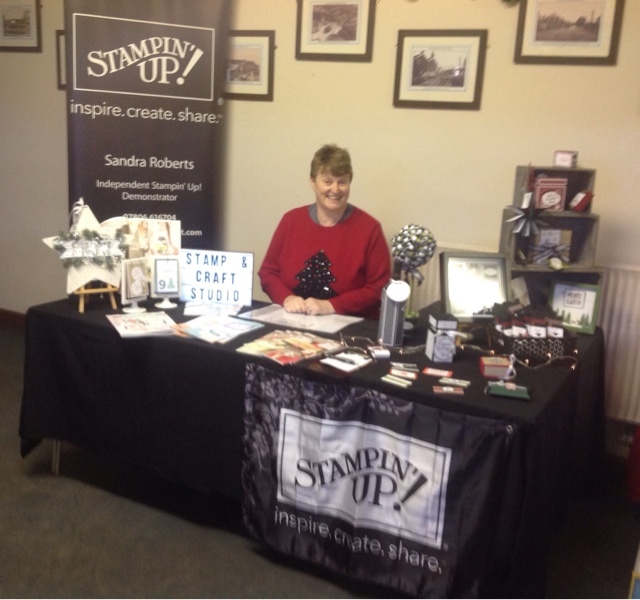 Despite the venue being extremely cold (as door open all day), my main aim for the day was to advertise classes at my Stamp & Craft Studio about 3-miles away. As always at these type of events, I have to keep busy to make my time there productive, whilst chatting to potential customers and other stall holders. I took along some pre-embossed acetate boxes with envelopes inside, card bases, scraps, retired hat punch, sentiment and ink, to create some more of these card designs, we made for Ronald McDonald House Charities last weekend. One lady watched me finish the first batch to purchase and then ordered another to collect on her way out. She spent so long chatting to myself and neighbouring stall holder, I was finished these very quick cards before she moved on. I hope you like the simplicity of these cards. 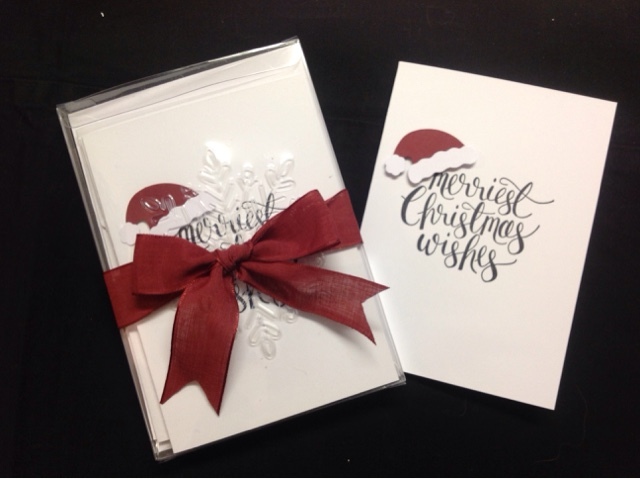 My husband loves clean and simple cards and these were ideal for RMHC projects. WOW, what a fabulous weekend !! Last night Val and I had a final count of the weekends charity cards, packing in boxes with envelopes as we went. I'm so proud of everyone who came helped over our 3-day charity weekend. Together we have created 1045 cards for Stampin' Up! UK Christmas Cheer Challenge, donating to Ronald McDonald House Charities. Another big thank you to Helen for suggesting using www.ipostparcels.com to despatch. I managed to reduce cost from over £40 with Royal Mail, to just under £15 with www.ipostparcels.com. Thank you so much for introducing me to a service I'm sure I will be using again in the near future. 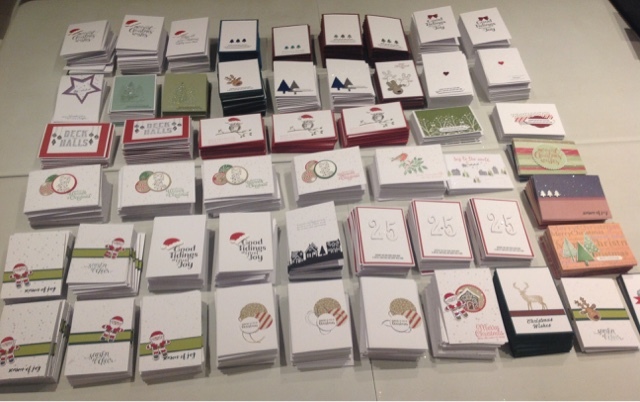 Day 3 (Sunday) and we continued to create even more cards for Ronald McDonald House Charities. With lots of people popping in and out during the day, our final count boxing up our Christmas Cheer Challenge cards ready to post, was a fabulous 1045 ! Thanks to fellow team and another local demo who joined us over our 3-Day Challenge, Rebecca Chivers, Jacqui Lawrence, Sandra Bryson Hill, Julie Taylor, Tanya Pratt, Jane Scudamore. Also special thanks to a former team member Pat, who sadly had to give up crafting due to illness. She kindly donated retired card stock and adhesives for CCC. Thanks to everyone who helped achieve this fantastic result.